Fall into October with these fun-filled Bossier events. You can listen to The Temptations, eat a giant pizza or roam with the Zombies. Either way, you’re bound to have a good time! Your first stop this month should be picking out the perfect pumpkin. Support local, national and international mission efforts with your purchase of a pumpkin in the Asbury United Methodist pumpkin patch. During the first week of October, journey out to the patch and listen to storytelling for children. More events are planned throughout the month so keep up with what is going on at the pumpkin patch by following Asbury on facebook. 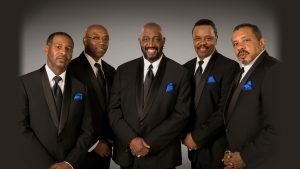 “What can make me feel this way?” The answer is always “my girl” but it could also be The Temptations performing at Margaritaville. Enjoy the classic hits and hear new songs from their latest album. Don’t miss the legendary group perform locally. Tickets are $30. It’s time to be a Girl Scout and Holiday Lanes is helping girls “roll” into a new year! Register or renew your membership and prepare for an exciting season of building girls of courage, confidence and character who make the world a better place. Girls kindergarten through 12th grade are welcome. Cost is $7. Celebrate National Pizza Month by witnessing and tasting Shreveport-Bossier City’s largest pizza. Flying Heart Brewing and Pub is making a big promise to satisfy a challenge and to honor the food of the month. For $5 enjoy all you can eat of the huge pie. 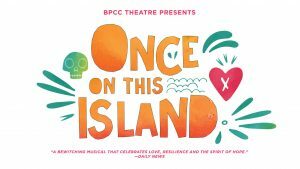 “Once on this Island” follows the story of a fearless peasant girl in search of her place in the world. After falling in love, she sets out on a journey to reunite with the man who stole her heart. This play is based on the 1985 book, “My Love, My Love” by Rose Guy. Support local artists this month by viewing, “Contained,” the latest show at the Bossier Arts Council. This exhibit focuses on how well an artist can handle being “contained” to the boundaries of a canvas. “Contained” is on display Oct. 3 through Nov. 30 and has been juried by an anonymous gallery panel. For more information, visit the BAC’s website. Meet all your favorite heroic pups and watch them save the day. Paw Patrol promotes lessons in teamwork and character building by honoring individual and unique skills. The show included two acts with an interactive intermission. Tickets start at $19. Welcome fall with an event catered to everything you love about the season. This new event kicks off at 3 p.m. with a selection of food trucks, bounce houses, a petting zoo and face painting. 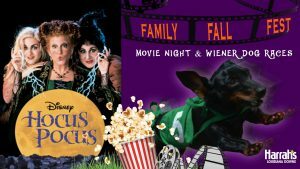 Wiener dog races begin at 4 p.m. and at 7 p.m. the Halloween favorite, “Hocus Pocus,” movie will be shown. This event is free. Stumble or drag your feet like a Zombie for the tenth annual Shreveport-Bossier Zombie Walk: Bark and Bite. Dress in your best zombie wear and enter to win the costume contest (rules do apply). This year’s walk is pet friendly and local pet stores and pet-ccentric nonprofits will attend. Show off that costume by doing more than just trick-or-treating on Halloween night. Enjoy carnival games, arts and crafts and a costume contest at the Pierre Bossier’s MallOWeen event. This family event has plenty of activities centered around the haunting them and offers trick-or-treating for children to enjoy. Next Post:Do You Know the History of Bossier Railroads?